(Bloomberg) -- Today in Brexit: As the U.K. and European Union are said to be planning a special Brexit summit, a leading British company had some harsh words for the prime minister. Prime Minister Theresa May has heard her fair share of Brexit warnings in recent months, but few have been as stark as the one she received in Birmingham on Tuesday. Jaguar Land Rover Chief Executive Officer Ralf Speth told an audience that included May that a bad divorce deal could put tens of thousands of jobs at risk and cost the company more than 1.2 billion pounds ($1.6 billion) a year. This as the clock ticks down to the March 29 exit date and the U.K. and the European Union are said to be preparing a special summit to sign the Brexit deal in November. The company, which employs more than 40,000 people in the U.K., said its losses in the event of a no-deal Brexit would wipe out its profit. Speth also warned that decisions were being taken by companies now that won’t be reversed – whatever the final outcome. A government spokesman said May’s current divorce plan would protect the auto industry’s supply chains and the prime minister is confident of getting a good deal. Still, Speth is the latest company boss to adopt a harsher tone. Rolls-Royce Holdings said in July that it was moving the design approval for large jet engines to Germany to ensure it can continue operating whatever the Brexit outcome. In June, Airbus SE said it may have to pull its U.K. investments in the event of a no-deal Brexit. Meanwhile, back in London lawmakers on either side of the debate were also preoccupied by the prospect of Brexit turbulence. Chancellor of the Exchequer Philip Hammond ended days of speculation over the future of Bank of England Governor Mark Carney, giving himself one less thing to worry about if the U.K. crashes out of the EU in March. Hammond told Parliament that the Canadian won’t step down as planned in June 2019 – a time which Hammond said could be “a turbulent period for our economy.” Instead, he’ll remain in office until the end of January 2020, roughly halfway through a period intended to smooth the U.K.’s withdrawal from the EU. Hammond’s announcement came hours after leading pro-Brexit lawmakers, including Jacob Rees-Mogg and Boris Johnson, presented a report from Economists For Free Trade that suggested the risks of leaving had been overstated and that a no-deal outcome could leave the U.K. richer. The findings were quickly scrutinized, and largely dismissed, by lawmakers, economists and commentators. Still, pro-Brexit Tories are said to have spent several hours plotting to oust May on Tuesday night because they think she’s betraying their vision of a clean break from the EU. People familiar with the matter said the meeting, attended by about 50 Tories, openly discussed how May could most easily be removed from office. Bloomberg’s Tim Ross and Ian Wishart have the full story on the special November summit, and the latest Tory infighting. Companies considering a sterling-bond sale may need to hurry up as potential Brexit deadlock looms. Borrowers have highlighted risks including possible flight disruptions, legal holes or loss of EU funding in bond documents, and these worries may intensify in the weeks ahead, potentially driving up borrowing costs. The U.K. on Wednesday will set out new agriculture legislation that replaces EU subsidies for farmers post-Brexit and places more emphasis on environmental standards. The plan includes a seven-year transition period. European Additions | Barclays will create about 150 new roles in Europe as part of its Brexit preparations, the firm told U.K. lawmakers Tuesday. The new hires will be in addition to the 150 current U.K.-based positions that will mostly “migrate” to Dublin, Kevin Wall, chief executive officer of Barclays’ Irish unit, said in evidence to members of the U.K. Treasury Select Committee. Chocolate Mountain | The owner of Cadbury is stockpiling ingredients in a bid to avoid any shortages in the event of a Brexit with no customs union. 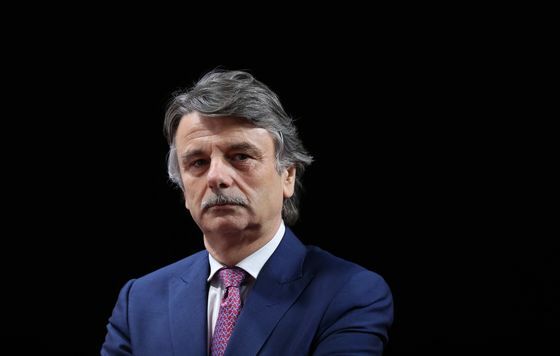 The U.K. alone can’t provide the ingredients for the confectionery company’s products, Hubert Weber, the president of Mondelez International Inc.’s European arm, said in a Times interview published Tuesday. Aviation Plea | A U.K. lobby group petitioned the EU for a second time to allow aviation regulators from the two regions to jointly plan for Brexit, as fears grow of flight chaos when Britain leaves the bloc. German Preparation | German Chancellor Angela Merkel has ordered government departments to list potential legal problems that would arise in the event of a “No Deal” Brexit, Handelsblatt reported. Irish Optimism | A Brexit deal can be made within weeks, Irish Prime Minister Leo Varadkar said on Tuesday, according to the BBC, a day after chief EU negotiator Michel Barnier said it could be done in six to eight weeks. On the Markets | Pound volatility spiked to the highest since March as contrasting Brexit headlines saw the currency swing between gains and losses. 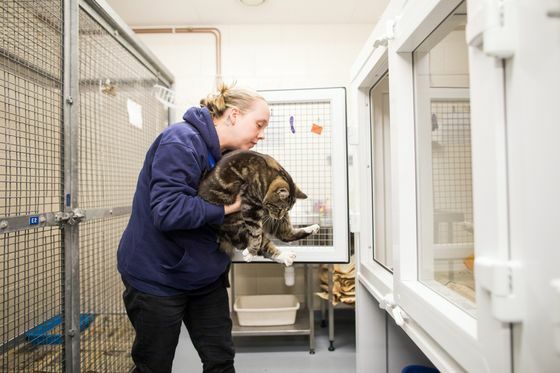 Pet Peeves | A no deal Brexit could leave British cats and dogs stranded in the EU for months as they wait for a replacement for the current Pet Passports, The Sun reported on Tuesday. Coming Up | Jacob Rees-Mogg’s pro-hard-Brexit European Research Group sets out proposals for solving the Irish border issue, while May faces questions from lawmakers in Parliament.